This week Lenspeed witnessed the addition and departure of staff cars. 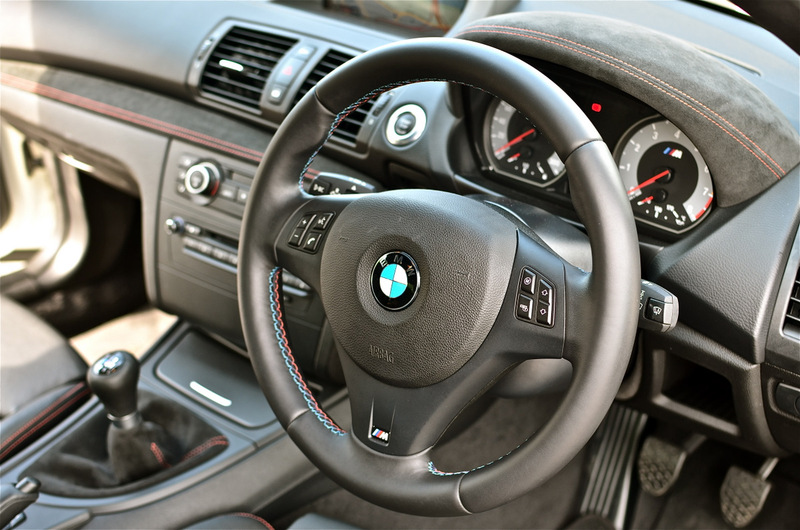 It was glorious news when we found out that a BMW 1M was to join the fleet, as it was unanimously agreed that the M car was a bona fide Lenspeed choice. However, a tinge of sadness quickly settled in when we learnt that the pinnacle of our fleet, the Porsche 997.1 GT3, was going to a new owner very soon. In fact, so soon that we will not see it again after tomorrow. It’s been an emotional week for the team here, that’s for sure. To add a bit of cheer, we did a little homecoming for the 1M just this evening when each of the team got to feel again just what the car could offer. It’s been more than 3 years since I test drove the 1M proper, where I emptied its fuel tank in one day driving about what must be one of the smallest islands in the world. So to return again to the driver’s seat of the smallest M car in modern history was something I frizzled with anticipation. It, by the way, is also the M car that broke tradition by coming with a turbocharged engine, something that obviously worked for BMW M as now the M3, M4, M5 and M6 are turbocharged. The first thing that struck me was how close the clutch pedal felt to the brake pedal. I thought it would cause a bit of a kerfuffle when I got on the move, but it was all fine and dandy once the legs found their way around the footwell. In fact, the theme that constantly came to mind was ‘ease of driving’. For this much performance, it’s pretty amazing how easy it is to drive the car. Every mistake you make with a gearshift is not amplified, but hushed away. And with every brilliant gearshift you make, the car ensures you feel like an absolute hero. There is a layer of ‘forgiveness’ in the car which is hard to explain, but permeates every part of it. As one staff member said, the car feels “well damped… I could see someone upgrading from a MkV Golf GTI to this, because it offers accessible performance”. To feel this ease is of course a refreshing experience again, something a bit unexpected after getting used to the manly and brutish looks of the car thanks to the wide wheel arches and squat stance. But the other thing that brought sheer pleasure was the exhaust note. Although clearly with a stock exhaust the car was already sounding more like a naturally aspirated engine rather than a turbocharged one, for all the good reasons, this one came equipped with Akrapovic slip-ons which were a very subtle, but very effective touch. Adding a layer of supercar air to the car without seemingly any drawbacks, it brings the exhaust note to another level, with pops and cackles evident from the moment you start the car. Every well-timed gearshift brings a small atomic bomb explosion at the top end, while mid-range throttle lifts give you the most incredible burbles. There is very little to fault with this Akra system, and feels absolutely OEM+. Even the aftermarket short-shifter was a joy, although initially it can confuse you about which gear you’re in due to the reduced lever travel. It seems like everything modified in this car was done to add to the car, not detract from it. What a used car buy and what a find! And the owner? As he drove the whole Lenspeed team for the first time in the 1M, there is only silence from him as he focused intensely on perfecting every gearshift, and extracting all the performance the car can muster. Which is easy, and therefore an absolute joy.